Background - Originally formed by 3 passionate female Leeds based producers, Luna Pines showcase modern electronica and refined dream pop and mix it with ambient, almost post-rock echoes. Influences ranging from Explosions In The Sky to Beach House can be felt across their debut EP ‘The House We Lived In’ that is due June 1st. This week, the band have released their new single taken from it, 'Spring'. 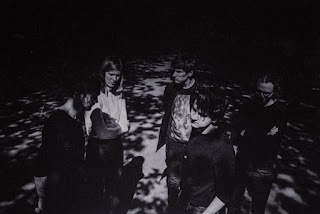 A deeply sensitive tone is felt in 'Spring' that serves as a spacious, indulgent moment on the EP, exploring painful issues such as death and loss in a mask of Cocteau Twins inspired melodies. Luna Pines’ sound travels through landscapes of 80’s synth-wave & eccentric beats, to post-rock inspired, soundtrack–esque atmospheres. 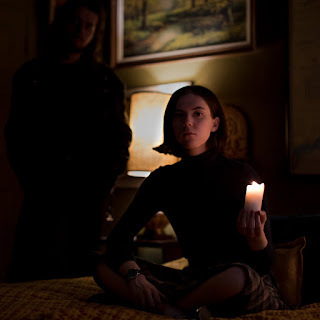 A deeply sensitive tone is felt in new single ‘Spring’ that serves as a spacious, indulgent moment that explores painful issues such as death and loss in a mask of Cocteau Twins inspired melodies. 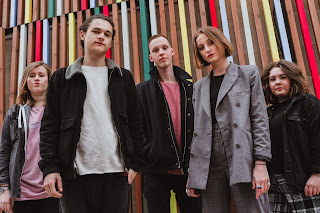 Having played sold out local shows at prestigious venues like Belgrave in Leeds last year, the five piece take influence from acts like Daughter, The Japanese House, and James Blake, creating a nostalgic air of ambience, with soaring synths and heavy bass lines, reminding listeners of soundtracks similar to the brilliant ‘Drive’ score by Cliff Martinez. 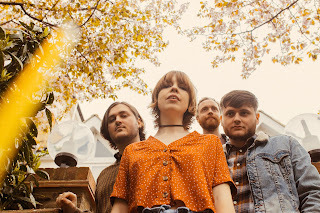 The band produces and mixes all their own material, making them even more of a force to be reckoned with inside of the brilliant and eclectic Leeds music scene. 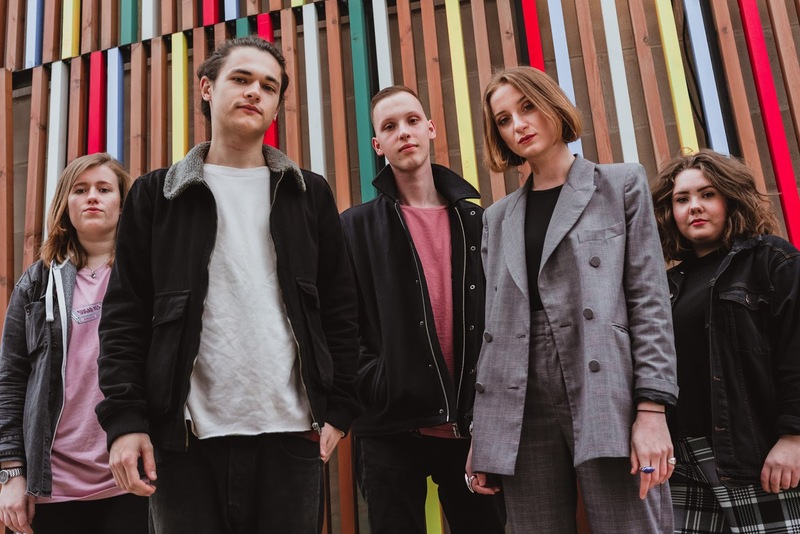 Having gained attention from various publications and BBC Introducing with their last two singles, they are gearing up to play venues across the UK and use this solid foundation to take their music to new heights this year. TWITTER. 'Spring' is beautifully crafted electronica that mixes gently melodic vocals and a subtle musical backdrop, which helps build the atmosphere that this song exudes with quality. 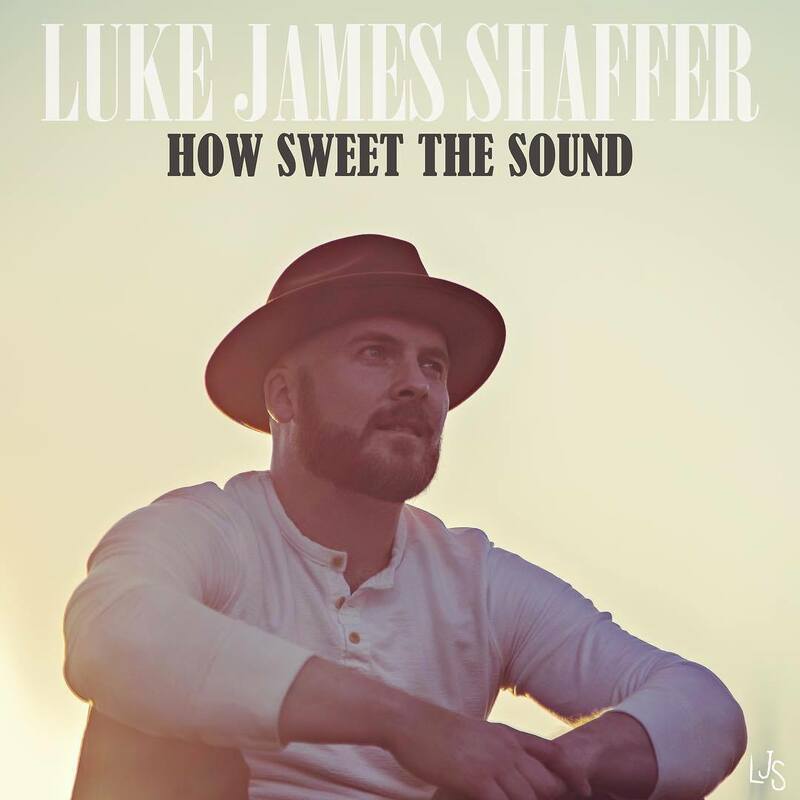 Luke James Shaffer - How Sweet the Sound. Background - Singer-songwriter Luke James Shaffer’s story is the kind of yarn that packs an anthemic dose of rock n’ roll romanticism. Seven years ago, Luke was toiling away as a server in a restaurant, longing to be a fulltime singer-songwriter. In one moment of fevered enlightenment and hope, he turned to his friend and co-worker and asked if she thought he should pursue his dream. She said yes (by the way, that wouldn’t be the only time she said yes to a crucial question—the two are now married). Today, Luke is basking in a new era of unbridled creativity and unbounded possibility while enjoying a familial partnership with House Music Group. His exhilarating, Bourbon Street-spiked first single “Pressure,” from his debut EP, also titled Pressure, rocketed to the Top 20 on the iTunes singer/songwriter charts in January 2018. Luke has also amassed a robust YouTube audience with his live-looping cover videos and intimate renditions of popular songs, garnering over 1 million views. Currently, he’s backed by an intuitive collective of ace musicians, including Sean Mahon, piano/guitar/backing vocals, Daniel Brown, bass, and Jeremy Thompson, drums. The key to his success? “I always strive to create positive vibes because life is beautiful even when things aren’t beautiful,” the Washington, DC-based artist says. TWITTER. With distinct and emotive vocals Luke James Shaffer gives 'How Sweet the Sound' some real feeling. The music is of a very high quality and when it explodes into power, it really does turn things up a notch. Add in the gorgeous background vocals and this really does become pretty special. Mikey Collins - Sound in Here. Background - "Sound In Here" is the first single to be released from the debut album Hoick by Mikey Collins, the drummer for Allo Darlin'. Reflecting the joy and humour of his previous band, the track is a surprisingly upbeat song about tinnitus. As Mikey explains: "This was a song that I wrote whilst thinking about the tinnitus that affected (Allo Darlin' guitarist) Paul Rains and I after years of touring. Paul, particularly, had a very hard time adjusting to having damaged hearing and a constant tone in his ears. It got me thinking about whether it was all worth it etc - of course it all was, but there were costs to all that travelling and not sleeping and loud gigs and sht. This song thinks about that. I wanted it to sound like the Cure." With Hoick, Mikey Collins combines his love of solid grooves and joyous harmonies to create a fun and sonically varied record. 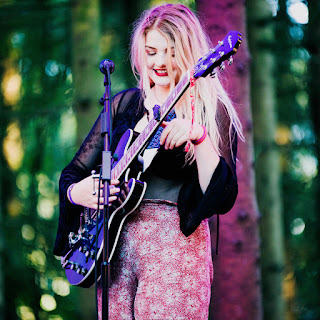 Mikey played most of the instruments and mixed the record himself, with some assistance from Laura Kovic (Tigercats) on vocals and fellow Allo Darlin' member Paul Rains on lead guitar. The flicker of his previous band provided the building blocks of an upbeat, positive record, but Mikey wanted to add his own quirky, disco spin & sonic expansiveness, aided by co-producer John Winfield (who has worked with Jimmy Somerville), with the aim of making a record that people stood a chance of being able to dance to. To create this eclectic sound, Mikey draws on influences are as far flung as Dexy's Midnight Runners, Bruce Springsteen & Todd Rundgren as well as more current artists such as Night Works, Matthew E White and Father John Misty. Allo Darlin' were a fantastic band and so it's a real pleasure to present 'Sound in Here' by Mikey Collins who of course was the bands former drummer. The song is really impressive as Mikey gets to show off his talent both in song writing and playing. It's bright and breezy with no end of hooks and as a fully fledged tinnitus sufferer myself, the sentiments of the song resonate in a big way. Background - Bodies is the second single taken from the forthcoming album Skeletal Blues. Locks tell us "Our friends Steve & Abi did the short film for us. We're really proud of it and want to share it with as many friends as possible". "We've also just released our debut album 'Skeletal Blues' and really wanted to show you that as well. We spent a lot of time over this and finally it's here, we're having an album launch on 29th at the Finsbury in London to celebrate it". 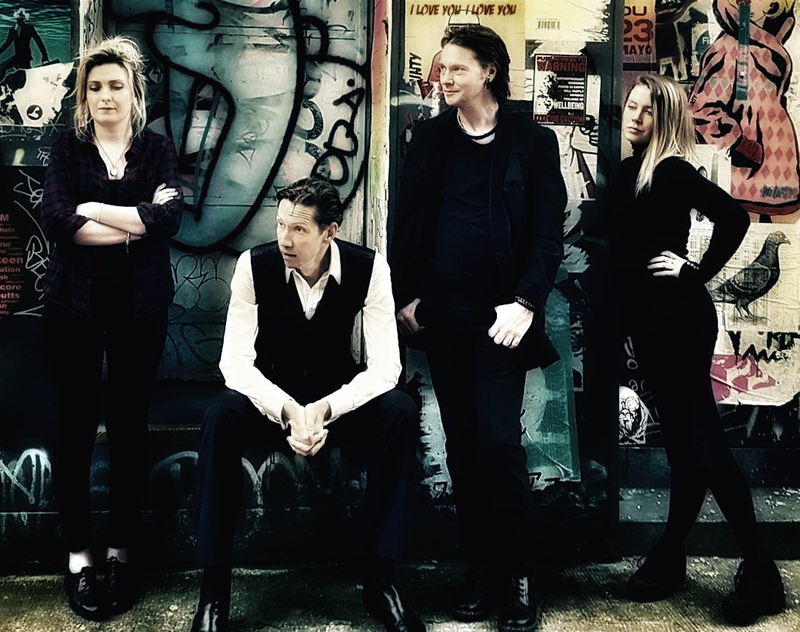 Locks have been described as a London based "alternative skeletal strings bluesy band", they are made up of L.Geary-Griffin (lead vocal / guitar), Mike Byrne (double bass), Marian McClenagan (fiddle) and Andy Marvell (drums). TWITTER. Locks are a band that have never disappointed me, hence 'Bodies' is our fifth feature for this creative band. The video is dramatic and works well with the song, telling the story in a fiery way (pun intended). The new album 'Skeletal Blues' is a stunning collection of songs, where Locks sound comfortable in their own musical exploration. Expect hooks everywhere, the occasional moments of edgy surprise and plenty of emotion, all wrapped up in their enticing skeletal sound. Jonathan Something - Outlandish Poetica. 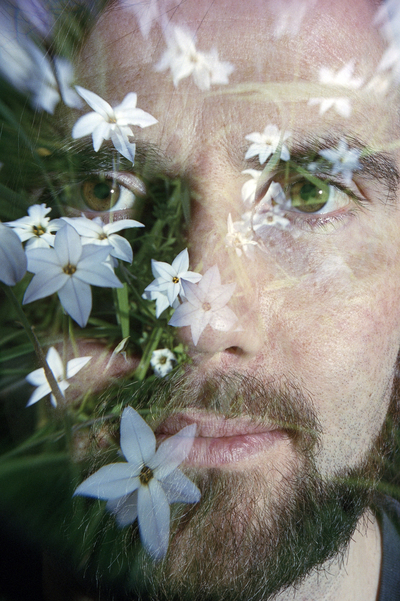 Background - Solitaire Recordings is extremely proud to announce the release of Jonathan Something's incredible debut single 'Outlandish Poetica' as part of his forthcoming debut album Outlandish Poetica due out August, 2018. Hailing from Brooklyn, Connecticut (not to be confused with Brooklyn, New York), Jonathan Something is the musical project of writer, producer and multi-instrumentalist, Jon Searles. His first single 'Outlandish Poetica' is a rather cheery depiction of a surreal nightmare in which Boston Celtics legend Larry Bird and the 86' All Star basketball team inexplicably ambush Jonathan Something, brutally beating him and robbing him of his money. The track takes the best of many hallmark acts, without being able to put your finger on one particular sound. The track has the production value of The Black Keys's El Camino, the songwriting style of Wilco's Yankee Hotel Foxtrot, the aura of Beck's Mellow Gold, the peculiarity of The Flaming Lips' Yoshimi Battles The Pink Robots, the story telling of The Mountain Goats' The Sunset Tree and the satirical lyrics of Kimya Dawson and The Moldy Peches. 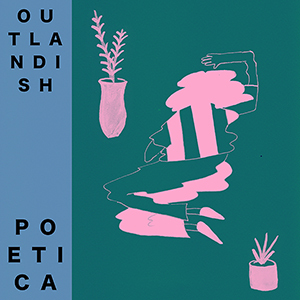 The songs' expressive imagery and vivid storytelling are a perfect preface to the forthcoming album, also named Outlandish Poetica. 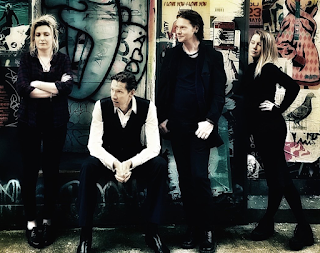 As anti-folk made light of folk music, Outlandish Poetica creates an almost anti-blues/anti-rock style that masters classic sounds while still mocking the perceived seriousness in the established music scenes. While on the surface, the track may feel very satirical, the song somehow takes this very quality and makes it emotive and heartwarming in it's very own, unique way. "It was just one of those tunes that sort of came to me. I wrote it on my dad's boat on our way home from this place called Block Island. The intense humming of the engines sort of puts you in this meditative head space that I really enjoy for writing. I was just jamming on the guitar riff and that first verse, as weird as it is, popped into my head. Then from there i tried to just follow the natural narrative flow and it somehow brought me to the coda of Larry Bird stealing my money." - Jonathan Something. TWITTER. 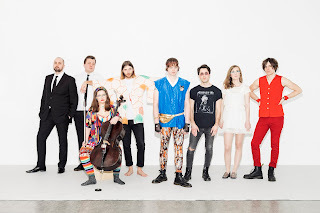 As debut singles go 'Outlandish Poetica' is a splendid affair. Story telling in a quirky and vibrant manner, what I would give for today's Top 40 charts to be full of singles like this. I'm still scratching my head as to what genre this belongs in, what I do know is I am going to be playing this one a good few times more.